As we move into the fall months of the 2018 season, pro shop managers have a lot on their minds. There's the inventory in the pro shop that needs to be counted, then there's the year-end reporting that needs to be analyzed, and of course, there are still a few precious months of tee times before winter comes and operations slow down. One task that shouldn't be plaguing general managers is the year-end membership drive. Every year a lot of golf managers have to invest a ton of resources into retaining pre-existing memberships because they expire each year. Every time the season ends the golf course is at risk of losing its base of most loyal customers. To fight the risk of losing memberships, management has to invest in membership drives that waste resources which could instead be put towards actually increasing club memberships, managing operations, training staff, or improving sales. That's why automatic membership renewal can help and ideally should come packaged with modern golf management software suites. When your memberships renew automatically, you eliminate tedious, costly, and time consuming tasks so that efforts can be focused on strategies for increasing membership, not retention. 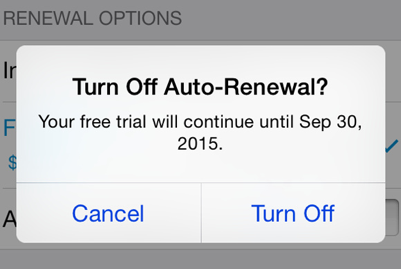 Don't compare automated renewal to your last bad experience with a subscription account like Netflix. From the start, make it clear to your customers that automatic membership renewal is not about taking advantage of forgetfulness. Customers should be allowed to opt out at any time. The goal is not to bill customers for a service they do not want or trap them into a subscription. The real advantages of automatic golf course membership renewal are found in saved time, predictable membership levels, lower retention costs, and expected lifetime value. To your business, every customer has a lifetime value that can be calculated. A rough estimate of the lifetime value (LTV) of your members can be calculated by dividing Average Annual Revenue Per Member (ARPM) by the percentage of members that leave your golf course per year on average. 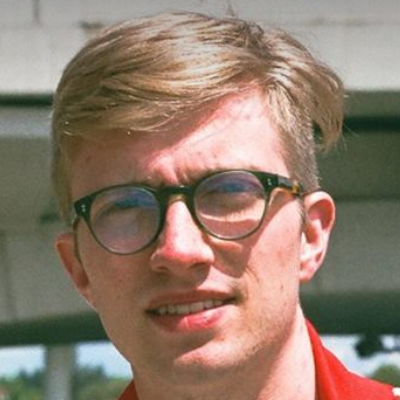 For example, say your average membership is worth $2000 per year and the average percentage of players who end their membership each year is 3%. In this case the LTV of one customer is $2000/.03 or about $67,000. So, whenever you sign a new member you've added $67,000 in additional lifetime value to your business. Calculating the lifetime value of a member is much easier than a public player because they pay a fixed annual amount. Deriving an estimate of the LTV of a public player is much more difficult but, tracking customer profiles and sales in your golf POS and tee sheet can help with determining the average annual revenue. Customer lifetime value is intrinsically tied to the value of your business because the sum of all customer LTV equals the amount of revenue your business can expect to earn over its lifetime. What's most interesting about LTV is that it gives you other areas to focus on beyond fees in your membership strategy. Hint: this is where auto-renewing memberships come in. If the LTV of your members is tied to the value of your business, then you can increase LTV by reducing churn without raising membership fees. In fact, in some cases, you may be able to increase the value of your business by offering lower membership rates, if it means a lower churn ratio. Offering a discount to customers that opt for automatic renewal is one example of lowering member rates in favor of a lower churn ratio that drives higher LTV. Automatic membership renewal dramatically reduces the amount of time managers have to put into member retention because they can focus instead on churn instead of retention. You don't have to hire an entire sales team to conduct retention calls for your whole base of members. Instead, have your team focus on the bottom 25 customers who are at risk of slipping away while up selling your top 25 customers on better upgrades to their membership. Auto-renewing memberships make it easier to focus on the most important sales call. Put simply, automatic renewal makes your life much simpler as a general manager. Instead of wasting your sales effort on retention calls over the winter months, you can avoid the hassle of re-signing members year after year, and instead focus on increasing the membership at your golf course. Remember that Netflix anecdote from earlier? In some ways there is some truth to it, subscriptions are a great way to generate reliable revenue, and yes some people do forget to cancel them. For customers, what truly makes them so great is that they are flexible for people's needs. Many subscription-based businesses offer tiered memberships that sell a variety of access levels, features, and extras. Often these subscriptions can be tailored to meet the customer's exact needs. What if golf courses operated under a similar membership strategy? Customers could have monthly, quarterly, yearly memberships with different levels of access to rounds, tee times, days of the week, amenities, or features. The result would be that each member would get their ideal custom option, perfectly tailored for their needs. 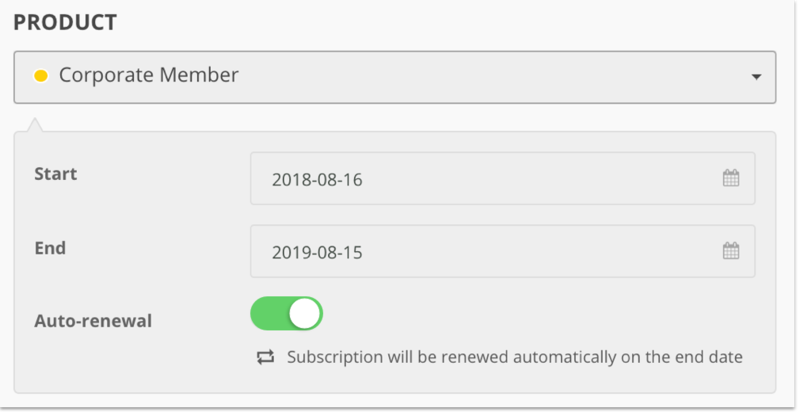 Automatic renewal is where this starts, but golf managers can take subscription style services as far as they want as long as it increases LTV.